Kylver (pronounced - Kill-ver) are a four piece instrumental progressive rock/metal band that have crafted their take on the progressive genre by mixing slow and heavy doom riffs, odd time signatures, atmospherics of post-rock and Hammond tones of the 70’s with a classic rock and metal sound that has likened to a mix of Pelican, Russian Circles, Black Sabbath, Tool, Mastodon, Kyuss and Yes. 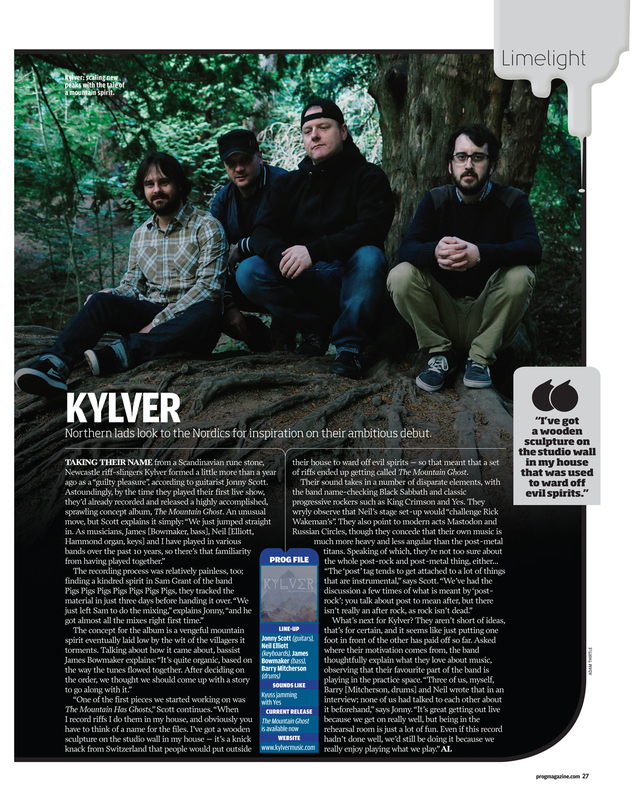 With the release of their debut album (The Mountain Ghost) in 2015 and it’s follow up (The Island) in 2016 Kylver have quickly gained the attention of the music press with praise from Prog Magazine, Echoes and Dust, Metal Injection, Outlaws of the Sun, The Sludgelord as well as many others. 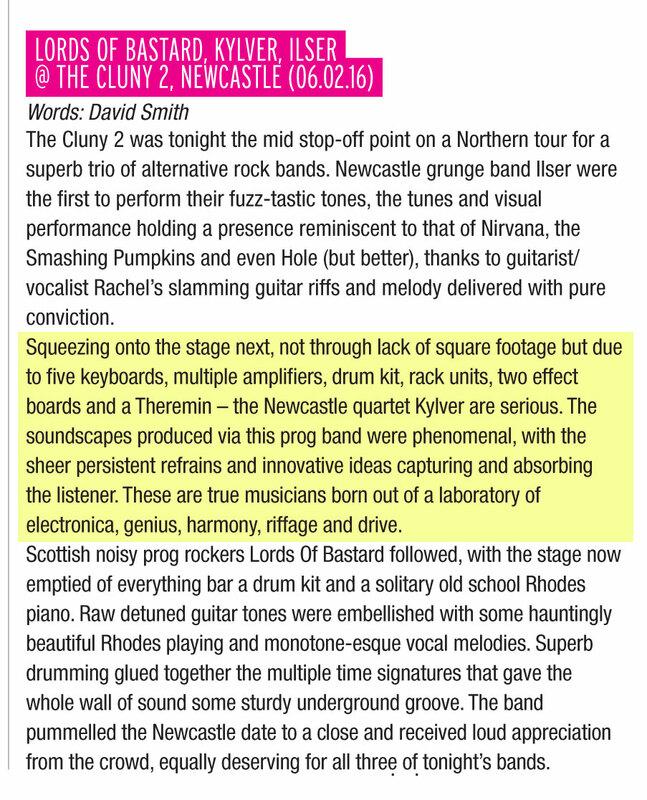 Over the past four years Kylver have found themselves and their music featured in Prog Magazines ‘Critics Choice’ compiled by the editorial staff and writers for both ‘The Mountain Ghost’ and ‘The Island. In 2016 they were nominated in the ‘Limelight’ (best newcomer) category of the Progressive music Awards. 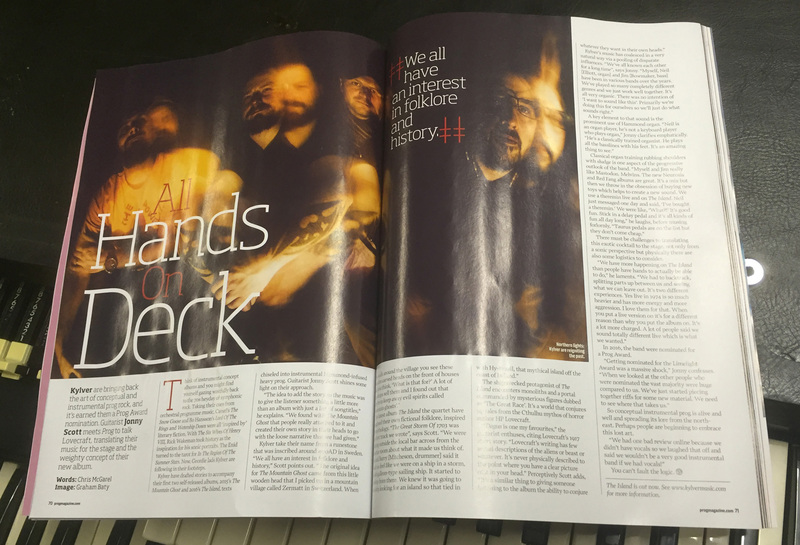 A nomination which was followed up at the beginning of 2017 with the readers of Prog Magazine voting them as one of their ‘Tips for 2017’, critic’s listing ‘The Island’ as one of their top 10 albums of that year and to finish off 2017 ‘The Island’ was nominated for a Prog Award in the ‘Album Cover of the Year’ category.